is honored on Panel 59E, Line 23 of the Vietnam Veterans Memorial. Alpha two-one X-Ray, Alpha two-one. It's weird seeing "Burl" as your name, as I knew you as Denny. Being we were both from Ohio, a closer bond was formed. You were a excellent RTO. In those mountains and jungles' we confided. You were going to get a 68 Red Corvette convertible to cruise the Newport, Marietta areas when you got home. As time dictated, I had the ability to buy a 70 Corvette. In the showroom was your Red convertible. In remembrance to you, I passed on it as it was yours, and only yours. Since then I have never looked at a Red Corvette convertible as a Red Corvette convertible. You would have looked grand behind the wheel. If you could have seen me cruisin the strip in Youngstown, I was the guy in the Donnybrook Green Coupe. I miss you Burl, "Denny"....God Bless. As Louis Armstrong continues to sing ...."What A Wonderful World", because of You, and many like you. I truly don't embrace or want to understand the justification. Thirty eight years ago today we were fighting to gain control of the hill in the Que Son mountains, Hep Duc Valley. You were taken, I was spared. 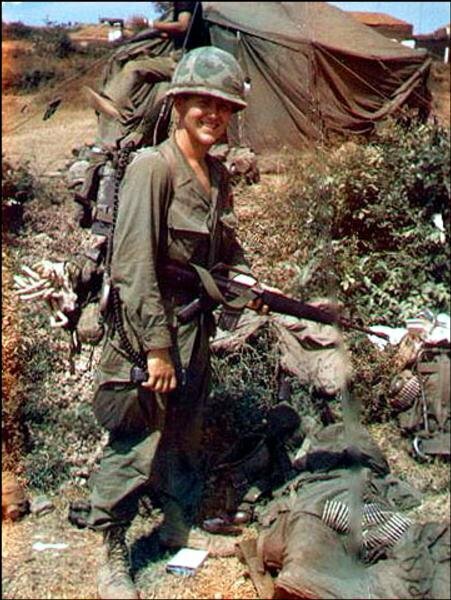 Our story has helped many Vietnam Veterans live. Thank you for your life. Denny Hewitt was a member of a great rifle company, Alpha Company, 1st Battalion 20th Infantry, 11th Light Infantry Brigade. 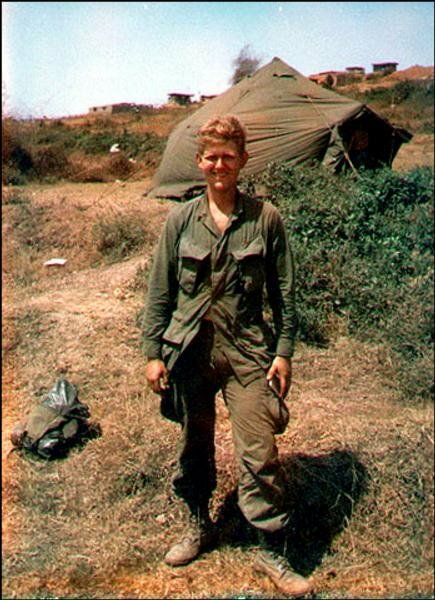 The men of Alpha Company, his friends, will hold Denny's memory in The Wall of our hearts for all our lives. As a fellow Buckeye, and although we never met personally, I want to thank you Burl Denton Hewitt, for your courageous and valiant service, faithful contribution, and most holy sacrifice, given to this great country of ours! Again, thank you CPL Hewitt, for a job well done! I remember a summer day. Denny was going to pitch a game up at the high school. I wanted to go and watch him play. He tied is baseball shoes together by the shoe strings, handed them to me, and then put me up on his shoulders. He carried me up the alley and all the way up to the school. He let me sit in the dugout while he warmed up. That was "big stuff" for me. He pitched a good game.